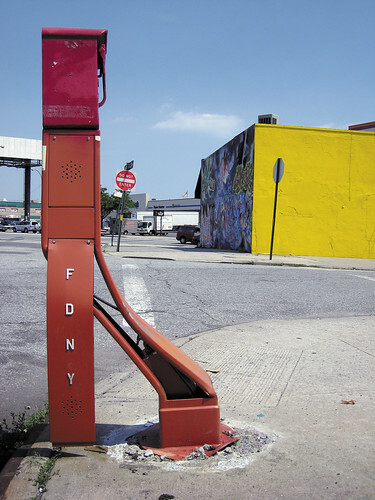 Woe to the FDNY Firebox which finds itself on the surly triangular corners that swirl about Northern Blvd. This elegantly destroyed specimen languishes perilously close to Steinway Street’s transmogrification into 39th street near the Standard Motor Products Building, specifically 36th avenue and 41st street. As a point of interest, this is the eastern extant of 36th avenue, with its western terminus obviated by the Roosevelt Island Bridge at the East River.